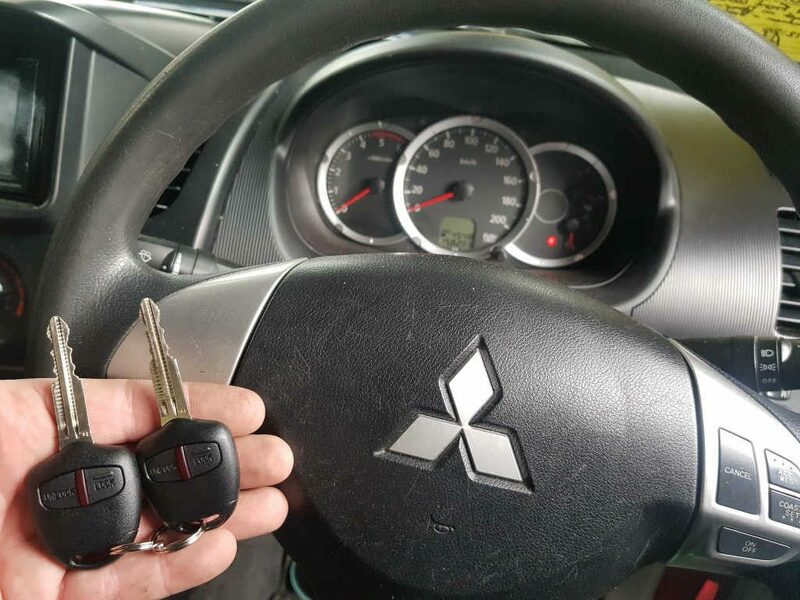 Stolen 2013 Mitsubishi Triton recovered without any keys in Blackburn. 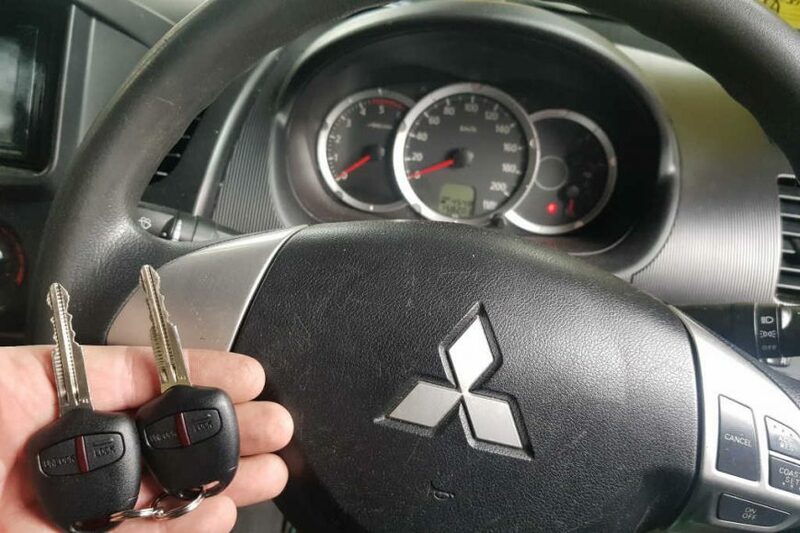 Our job was to supply, cut and programmed 2 genuine Mitsubishi Triton keys onsite and reprogram immobiliser. We offer the most competitive pricing on genuine Mitsubishi keys in Melbourne.